For one reason and another, I’ve been thinking recently about the inherent tension in Presbyterian confessionalism. The tension arises between two poles. 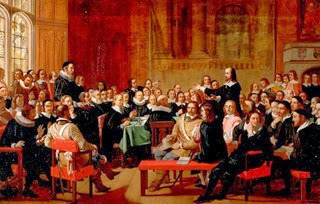 First, the Westminster Confession holds the scriptures alone to be the authoritative rule of faith and life and the only infallible rule for their own interpretation. Second, confessional subscription for Presbyterian ministers requires a commitment to the doctrine of the confession. For some, this is understood as a strict, unvarying approbation of every detail. The confession takes on the role of an authoritative rule. You see the tension. Herman Bavinck, “The Future of Calvinism,” The Presbyterian and Reformed Review 5 (1894): 23 cited by Harvie Conn, Eternal Word and Changing Worlds, 221. Barker objected to the claim that the Westminster Standards teach “nothing more or less than the very doctrines of the Word.” According to him, this is de facto elevation of the Standards to the authority of Scripture. Smith defended himself against the charge of elevating the Westminster Standards to the authority of Scripture by appealing to language within the Confession itself which teaches that the Scripture is our single rule for faith and life. If the Confession says this so clearly, then certainly one cannot charge the Confession with being elevated to a position which itself denies. Here is the tension in black and white. For me, the position argued by Barker displays a greater level of intellectual honesty. No genuine defence of the charge of elevating the Standards was given by Smith: no-one charges the Confession with anything, but people certainly can be charged with elevating the Confession to a position which it denies itself. If there is to be honesty about the tension between confessionalism and reformation, then there must be an acceptance that subscription to the Confession, however it is labelled must involve a certain freedom of interpretation. Otherwise there is indeed a de facto elevation of it to a position of authority on a par with scripture. And yet, the debating of that freedom is always where the rub is. All synods or councils, since the Apostles’ times, whether general or particular, may err; and many have erred. Therefore they are not to be made the rule of faith, or practice; but to be used as a help in both (WCF 31.4). For my thesis, I’ve been looking long and hard at Psalm 8. It contains a fascinating verse which does not enjoy the attention that it ought to do. The concept of the glory with which humans have been crowned receives woefully little attention. In terms of popular theology, the idea of humanity’s glory is generally blasted off the map by the idea that it is God alone who matters. Or, even that it is Christ alone who matters. But, I’m pleased to say, humanity matters to God. And in Christ we see this truth’s astonishing demonstration. The human person, in this tradition, is assigned an extraordinary role of authority and entitlement, not only in the service of God, but even over against God. There is indeed a second side to the covenantal, transactional quality of this relationship, which tilts the God-human encounter toward human initiative. [I]t will be evident that I have set up in dialectical fashion a profound tension in this relationship, a tension that is, I believe, reflective of the text and derivative from Israel’s own disputatious relationship with Yahweh. As humankind deals with Yahweh’s sovereignty, obedience is the proper order of the day. As humankind deals with Yahweh’s fidelity moving toward pathos, humankind is authorized to freedom and initiative. There is a profound tension in this relationship, for dealing with Yahweh’s sovereignty and fidelity does not permit compartmentalization. I fear that in practice we incline to compartmentalization, being excessively scrupulous in some areas of command (such as money or sexuality) and completely autonomous in other spheres of life (such as money or sexuality). 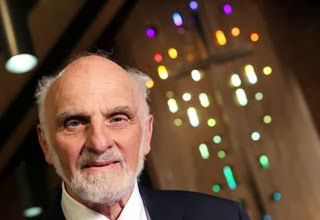 The practical outcome of this compartmentalization in the contemporary church is that so-called conservatives tend to take careful account of the most rigorous claims of the Bible concerning sexuality, and are indifferent to what the Bible says about economics. Mutatis mutandis, so-called liberals relish what the Bible says in demanding ways about economics, but tread lightly around what the Bible says about sexuality. In this relationship, however, as in any serious, demanding, intimate relationship, matters are more troubled and complex than such a sorting out might indicate. The human person, like Israel, is invited, expected, and insistently urged to engage in a genuine interaction that is variously self-asserting and self-abandoning, yielding and initiative-taking. As this tradition of testimony does not envision human persons who are arrogantly autonomous, so it does not envision human beings who are endlessly and fearfully deferential to Yahweh. A Christianity that functions on a level of fearful deference to God is not a Christianity in which the truth of the Creator’s love for human beings has come to the surface. A Christianity that compartmentalizes its interaction with God has not confronted the truth of the breadth of God’s calling. There was an interesting segment in an interview on Ski Sunday this week, where Ed Leigh spoke to Australian professional snowboarder Torah Bright. Torah Bright is a Mormon and she was asked directly about the impact of her faith on her sport. Ed also mentioned two other women who’ve achieved success in half-pipe snowboarding: Kelly Clark, a US boarder who is a Christian, and Hannah Teeter, who Leigh describes as having ‘spirituality’. More interesting than Torah Bright’s answer is the hypothesis in Ed Leigh’s question, and his willingness to express that hypothesis. Judging by Kelly Clark’s account of how faith has changed her approach to snowboarding, Leigh’s hypothesis is on the right lines.